In recent years, macroeconomic, trade and firm-based analyses have become increasingly challenged due to the transformative impacts of digital technologies on economic activity. This new phenomenon is often referred to as the digital economy. The innovations through digital technology have changed the way products are produced, consumed and traded; jobs and income are generated; and investments are financed. A sound statistical measurement of the transformative impact of the digital economy can help in understanding the dynamics and the structural shifts in the economy and ultimately the impact of the digital economy on the domestic and global economic activity, the use of the environment and the quality of life of individuals. These insights should allow for improved policy and decision making for sustainable development by government and firms in advancing and distributing the benefits the digital technologies and seizing their opportunities while reducing their risks on the economy, society and environment. The purpose of the high-level seminar is a) to raise awareness about the transformative impacts of digital technologies across our economies, societies and environment, b) to identify policy, research and information gaps as well as ways to improve interdisciplinary actions on the measurement of digital economy, and c) to present concrete proposals to strengthen cooperation for these actions in an inclusive manner. The United Nations Statistics Division (UNSD) and the United Nations Economic Commission for Europe (UNECE) organized a Workshop on Supply and Use Tables (SUTs) for the Eastern Europe, Caucasus and Central Asia (EECCA) and South East European (SEE) countries in collaboration with the National Bureau of Statistics of the Republic of Moldova and in collaboration with the European Free Trade Association (EFTA), the European Commission (Eurostat) and the Organisation for Economic Cooperation and Development (OECD). The workshop brought together national statisticians from 13 countries to discuss the concepts and methods in the compilation of SUTs following the UN Handbook on Handbook on Supply, Use and Input-Output Tables with Extensions and Applications. UNSD in collaboration with the National Bureau of Statistics of China (NBS) organized the International Workshop on Supply and Use Tables. The Workshop brought together experts in charge of supply and use tables and national accounts from 12 countries in the region. The objectives of the Workshop were to increase the capacity of participating countries in the compilation, dissemination and policy applications of SUTs, share experience and challenges they face in the compilation of SUTs and suggest good practices and areas for improvements. The training was based on the UN Handbook on Handbook on Supply, Use and Input-Output Tables with Extensions and Applications. The United Nations Statistics Division (UNSD), the Getulio Vargas Foundation (FGV), the KOF Swiss Economic Institute, and the Brazilian Institute of Geography and Statistics (IBGE) organized a Workshop on Big Data for Economic Statistics: Challenges and Opportunities prior to the 34th Conference of the Centre for International Research on Economic Tendency Surveys (CIRET). The aim of the workshop was to review successful examples of the use of big data for research analysis and for official statistics and to discuss how statistical offices, research institutes, technology companies and data owners can collaborate in this area in a mutually beneficial way in a changing world. The United Nations Statistical Commission established the Advisory Expert Group on National Accounts (AEG) to support the Inter Secretariat Working Group on National Accounts (ISWGNA) in carrying out its work programme, to resolve issues on the research agenda of the System of National Accounts (SNA) and to review documents and tools for the SNA implementation programme. The main purpose of the 11th Meeting of the AEG is to review the SNA research agenda and consider guidance on issues related to the implementation of the 2008 SNA, such as accounting for pensions; globalization; digital economy; statistical units; financial services; and economic well-being and sustainability. The workshop is organized by STAT/DESA jointly with the United Nations Economic and Social Commission for Western Asia (ESCWA). Islamic finance does not operate in the same way as conventional finance as it follows the Shari’ah Islamic law, principles and rules, which do not permit receipt and payment of interest, excessive uncertainty, gambling, or short sales or financing activities that are considered to be harmful to society. The workshop aims to increase the capacity of participating countries on the statistical treatment of Islamic finance in the national accounts. The workshop will address proposals on how to sectorize Islamic financial instruments and the corresponding property income and related transactions, and how to calculate and record the output of Islamic financial services. DESA’s Statistics Division, in collaboration with the Economic Cooperation Organization and the Statistical Centre of Iran, is organizing a training workshop on the Compilation of Quarterly National Accounts for Economic Cooperation Organization Member Countries. The workshop aims to train national accounts statisticians on the methods and data sources that are available to compile current price and volume measures of quarterly gross domestic product, benchmark the quarterly estimates with the annual estimates and produce seasonally adjusted estimates. In addition, it will provide a forum for participants to share experiences in terms of improved data sources and methods as well as establish contacts. DESA's Statistics Division and the Statistical Office of Mexico (INEGI) in cooperation with OECD, the World Trade Organization and Eurostat are organizing an international conference on the measurement of trade and economic globalization. The objective of this international conference is to discuss conceptual and practical ways of measuring trade and economic globalization, through the understanding of comprehensive statistical frame, global production and business practices, requirements and micro-data compilation for a global Supply-Use Table, firm heterogeneity and the impact of global production on national, regional and global economy. This international conference will bring together international and national experts in the compilation of trade, business or national account statistics and analysts/researchers who are interested in measuring trade and economic globalization. The high level of import content in exports makes gross bilateral trade statistics unsuitable for bilateral trade negotiations. Trade analysis requires new measures which better reflect the level of interdependencies among countries engaged in global value chains. In order to understand the true nature of trade relationships, it is necessary to know what each country along a global value chain contributes to the value of a final product. In addition, it is important to understand how that contribution is linked to those of other suppliers in other countries coming before and after along the chain, and how much employment and income is generated through this value addition. 08-09-2014 – 10-09-2014 Washington, D.C. The event is organised by the Inter-secretariat Working Group on National Accounts members, namely DESA’s Statistics Division, OECD, Eurostat, IMF and World Bank at the World Bank Head Quarters in Washington D.C. The purpose of the ninth meeting of the AEG is to consider guidance on issues related to the implementation of the SNA, such as: accounting for pensions; global production arrangements; the valuation of land and other non-financial assets; the recording of flows and stocks of international organizations; the SDMX-initiative related to national accounts, balance of payments and foreign direct investment; the use of indicators on deficit and debt; manuals, handbooks and other guidance; statistical units in supply and use tables and institutional sector accounts; distribution of income, consumption and wealth; and practical national accounts, such as, backcasting and the use of big data for national accounts compilation. The event is organized by DESA’s Statistics Division, in collaboration with Eurostat, Federal State Statistics Service of the Russian Federation, International Monetary Fund, United Nations Economic and Social Commission for Asia and the Pacific (UN-ESCAP) and the World Bank. The meeting aims to increase awareness among policy makers and mobilize their support for the coordinated implementation of the international standards for producing and disseminating macroeconomic statistics with a focus using on the main framework, the System of National Accounts 2008. The meeting is also expected to mobilize support for improved basic statistics and infrastructures to support the implementation of the macroeconomic statistical standards and equip the heads of statistics offices and departments in the agencies with strategies to accelerate national implementation. Regional Seminar on International Trade Statistics: Implementation of recommendations organized jointly by the African Union Commission (AUC) and the United Nations Statistics Division (UNSD) in collaboration with the African Development Bank (AfDB) and the United Nations Economic Commission for Africa (UNECA) from 12 to 16 May 2014 at the AUC Headquarters in Addis Ababa, Ethiopia. The objective of the seminar is to strengthen the capacity of the national statistical systems of countries throughout the African continent in statistics of international trade in goods and services. This activity forms a significant part of the broader effort to improve integrated economic statistics through the implementation of the 2008 System of National Accounts. The seminar will bring together national experts in the compilation of international merchandise trade statistics (IMTS), statistics of international trade in services (SITS), and the goods and services accounts of the balance of payments. The agenda is meant to elicit hands-on discussion and focuses on the status and, especially, the challenges encountered in the implementation of the international recommendations in these fields. A specific item on the agenda is the report of the results of the IMTS quality assessment questionnaire, along with selected issues of concern. Other topics are bridging IMTS and BOP, informal cross border trade, linking trade and the business register, FATS, and data dissemination. The joint activity is an important component in the overall effort to improve evidence-based policy making in Africa. The United Nations Statistics Division, in collaboration with the Economic Cooperation Organization (ECO), Statistical, Economic and Social Research and Training Centre for Islamic Countries (SESRIC), Turkish Statistical Institute, United Nations Economic and Social Commission for Asia and the Pacific (UN-ESCAP) and United Nations Economic Commission for Europe (UN-ECE), is organising a regional seminar on Developing a Programme for the Implementation of the 2008 SNA and Supporting Statistics in the Economic Cooperation Organisation Member Countries. The objective of the seminar is to assist participating countries with initiating the formulation of a national strategy and implementation programme for the 2008 SNA and supporting statistics with the objective of strengthening the national statistical system in support of improved policy making. It is expected that this initiative will lead to a multi-year statistical programme helping countries to change over to the 2008 SNA with a view to producing timely and comparable national accounts statistics and short-term economic indicators which fully meet user needs as well as comply with international standards. The seminars are organized by DESA’s Statistics Division, in collaboration with the United Nations Economic and Social Commission for Asia and the Pacific, Australian Bureau of Statistics, Samoa Bureau of Statistics, Secretariat of the Pacific Regional Environment Programme, Pacific Financial Technical Assistance Centre, and Secretariat of the Pacific Community. The 2008 SNA seminar is organised to assist participating Pacific countries with initiating the formulation of a national strategy and implementation programme for the 2008 System of National Accounts (SNA) and supporting socio-economic statistics with the objective of strengthening the national statistical system in support of improved policy making. It is expected that this initiative will lead to a multi-year statistical programme helping countries to change over to the 2008 SNA with a view to producing timely comparable national accounts statistics and short-term economic indicators, which fully meets the user needs as well as complies with the international standard. The objective of the SEEA seminar is to assist Pacific countries with developing an implementation strategy for the SEEA Central Framework on the basis of policy priorities and statistical development as well as to develop a sub-regional implementation strategy. It is expected that this initiative will lead to a multi-year statistical programme assisting countries to assist in the adoption of the SEEA 2012 Central Framework with a view to producing timely comparable economic and environmental statistics based on selected environmental-economic accounts and environmental-economic indicators which fully meets the user needs as well as complies with the international standard. The seminars brings together senior managers from national statistical offices and senior representatives from government agencies using economic and environmental information for policy setting from countries in the Pacific region to discuss the development of an regional and national implementation strategy for the 2008 SNA and the SEEA 2012 Central Framework. The aim is also to share experiences among countries in the region and facilitate cooperation amongst the neighbouring countries as well as north-south and triangular cooperation in support of the SNA and SEEA implementation strategy in the Pacific region. The Advisory Expert Group on National Accounts (AEG) has been established to assist the Inter-secretariat Working Group on National Accounts (ISWGNA) in resolving issues on the research agenda of the System of National Accounts (SNA), identifying emerging research issues, and assisting the ISWGNA in the review of the SNA implementation programme. The composition of the AEG reflects the global community representing all regions in the world and comprises 16 members (not including the five representatives of the members of the ISWGNA, Eurostat, IMF, OECD, UN and WB). The main purpose of the 8th AEG meeting is to consider guidance on issues related to the implementation of the SNA, such as: financial output, global production, delineation of head offices, holding companies and special purpose entities, pension entitlements, stability fees, treatment of freight and insurance in the 2008 SNA, and the SDMX initiative. Evidence shows that, despite some progress in a number of countries, many developing countries are still a long way from actually adjusting their supporting collections of economic statistics for implementing the System of National Accounts (SNA). 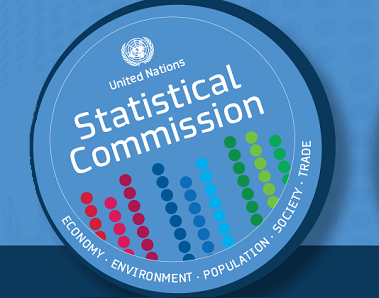 The forty-fourth session of the United Nations Statistical Commission (UNSC) requested the Statistics Division, in collaboration with the Inter-secretariat Working Group on National Accounts (ISWGNA), supporting countries and other regional organisations, to scale up coordination, advocacy and resources for the implementation of the SNA and supporting statistics at the national level where required. This seminar, which brings together the ISWGNA, the Advisory Expert Group on National Accounts (AEG) and representative from a number of countries with less developed statistical systems, aims to develop proposals for scaling up the effectiveness of the coordination and funding for the implementation of the SNA for consideration by the ISWGNA and to discuss practical issues related to the topics to be discussed by the AEG. The United Nations Statistics Division (UNSD), in collaboration with the CARICOM Secretariat and the United Nations Economic Commission for Lain America and the Caribbean (ECLAC) is organizing a seminar on: Developing a programme for the implementation of the 2008 SNA and supporting statistics in the CARICOM region. The objective of the seminar is to assist participating Caribbean countries with initiating the formulation of a national strategy and implementation programme for the 2008 SNA and supporting socio-economic statistics with the objective of strengthening the national statistical system in support of improved policy making. It is expected that this initiative would lead to a multi-year statistical programme helping countries to change over to the 2008 SNA with a view to producing timely comparable national accounts statistics and short-term economic indicators which fully meets the user needs as well as complies with the international standards. The United Nations Statistics Division (DESA/SD), in collaboration with the United Nations Economic Commission for Africa (UN-ECA) and the Southern African Development Community (SADC), is organizing a seminar on: Developing a programme for the implementation of the 2008 SNA and supporting statistics in Southern Africa. The objective of the seminar is to assist Southern African countries with initiating the formulation of a national strategy and implementation programme for the 2008 SNA and supporting system-wide socio-economic statistics with the objective of strengthening the national statistical system in support of improved policy making. It is expected that this initiative would lead to a multi-year statistical programme to move the countries over to the 2008 SNA and to establish a minimum common data set of annual and high frequency statistics. United Nations Statistics Division (DESA/SD), in collaboration with the Economic Cooperation Organisation (ECO) and hosted by the Statistical Centre of Iran is organizing a workshop on the Implementation of the System of National Accounts 2008 (2008 SNA) for member countries of the ECO. The purpose of the workshop is to initiate the formulation of an implementation plan for the 2008 SNA and supporting economic statistics in the ECO member countries with the objective of developing comparable economic statistics for monitoring the integration of their economies. It is expected that this initiative would allow countries to set up priorities for the implementation of the 2008 SNA and improve the quality and the scope of existing economic statistics. It should also help international organizations and other donors supporting capacity building activities in the region to get information on the most urgent needs of countries and better coordinate their efforts. The United Nations Statistical Commission established the Advisory Expert Group on National Accounts (AEG) to support the Inter Secretariat Working Group on National Accounts (ISWGNA) in carrying out its work programme, to resolve issues on the research agenda of the System of National Accounts (SNA) and to review documents and tools for the SNA implementation programme. At its 7th meeting the AEG will consider issues such as, the ISWGNA programme of work for the period up to 2014, current research issues and the provision of further guidance on the implementation of the 2008 SNA, review of the SNA research agenda, review of compilation guidance drafted by ISWGNA members, the development of training material on the SNA, issues related to the implementation of the System of National Accounts and the ongoing work in the broader remits of national accounts. The United Nations Statistics Division (UNSD) in collaboration with the National Bureau of Statistics of China is organizing an international workshop on Household Income, Consumption and Full Accounting of the Households Sector. This workshop is being conducted as part of the project on strengthening statistical capacity development in China and other developing countries in Asia funded by the Chinese Government. It will present an overview of the Households Sector as an institutional sector in National Accounts and will train participants on how to compile a full sequence of non-financial accounts for it. Particular attention during the workshop will be given to the compilation of GDP by income approach with emphasis on the income by corporations and households, adjustments for the conceptual differences between the estimates derived using the results of the Household Income and Expenditure Survey and National Accounts, and the use of extrapolation and benchmarking techniques for compilation of annual accounts for the Households Sector. DESA’s Statistics Division, in collaboration with the United Nations Economic Commission for Europe (UNECE), is organizing this workshop on the implementation of the 2008 SNA. The workshop is hosted by the State Statistical Committee of Ukraine. The purpose of the workshop is to initiate the formulation of an implementation plan for the 2008 SNA and supporting economic statistics in the EECCA and SEE region with the objective of developing comparable economic statistics for monitoring the integration of their economies. The regional plan will be part of the global implementation programme for the 2008 SNA and supporting statistics. The workshop will also discuss the treatment of conceptual issues, such as the recording of financial services and research and development in the national accounts. The expected outcome is consensus among participants on the implementation of the 2008 SNA. DESA’s Statistics Division, in collaboration with the United Nations Economic Commission for Asia and the Pacific (ESCAP), is organizing this seminar on the implementation of the 2008 SNA. The seminar will be hosted by ESCAP. The purpose of the seminar is to develop a clear implementation plan for the improvement of the capacity of countries in the Asian and Pacific region to produce economic statistics including the capacity to produce National Accounts in accordance with the 2008 SNA. The seminar will also discuss ways to ensure that plans for implementing the 2008 SNA and ESCAP’s Regional Programme for the Improvement of Economic Statistics in Asia and the Pacific are consistent and mutually reinforcing, effectively incorporating national implementation plans for the 2008 SNA into the regional implementation plan. The expected outcome is consensus among participants on the implementation plan. The United Nations Statistics Division (UNSD) in cooperation with the Lao Department of Statistics is organizing a Workshop on the Methodological Review of Benchmarking, Rebasing and Chain-linking of Economic Indicators for the South-East Asian countries. The workshop is organized within the framework of the UN/DESA Development Account project for strengthening the statistical capacity of countries in South-East Asia. The workshop will take place from 24 to 26 August 2011 in Vientiane, Lao. The objectives of the workshop are to review the methodological aspects of benchmarking, rebasing and chain-linking of economic indicators and to train representatives from national statistical offices of Cambodia, Lao People’s Democratic Republic, Myanmar, Timor-Leste and Vietnam on some of the most commonly used techniques for them. Particular attention during the training will be given to issues of rebasing of national accounts so as to deal with structural changes in the economy and linking the old time series to the new base year using a real dataset from Lao People’s Democratic Republic. The workshop will also offer the opportunity to exchange experiences, discuss challenges and propose best practice approaches to countries in these fields. The United Nations Statistics Division (UNSD) in collaboration with the National Bureau of Statistics of China is organizing an international workshop on measuring GDP by final demand approach. This workshop is being conducted as part of the project on strengthening statistical capacity development in China and other developing countries in Asia funded by the Chinese Government. It will give an overview on one of the main approaches to GDP compilation – the final demand approach, and will address specific issues of measuring the final consumption expenditures of households, government and non-profit institutions serving households and estimating gross capital formation for the economy and by sector. The estimation of national accounts’ imports and exports of goods and services from foreign trade statistics and other sources will also be discussed. DESA’s Statistics Division, in collaboration with the United Nations Economic Commission for Africa (ECA), African Development Bank, and African Union Commission is organizing this seminar on the implementation of the 2008 SNA. The seminar will be hosted by the African Centre for Statistics at the ECA. The purpose of the seminar is to assist the African Group on National Accounts in implementing the regional implementation programme of the 2008 SNA and supporting economic statistics. The objective is to develop national implementation programmes for the compilation of comparable economic statistics and national accounts for countries in Africa for monitoring the integration of their economies. The regional programme forms part of the global implementation programme for the 2008 SNA and supporting statistics. The third International Seminar on Early Warning and Business Cycle Indicators will take place from 17 to 19 November 2010 in Moscow, Russian Federation. This is the final seminar organized by United Nations Statistics Division/DESA and Eurostat in cooperation with the hosts of the three seminars, Statistics Canada (Ottawa, May 2009), Statistics Netherlands (Scheveningen, December 2009) and the Federal State Statistics Service of the Russian Federation. These seminars are held in response to the call made in the fortieth Session of the United Nations Statistical Commission in 2009 for swift and coordinated statistical initiatives by countries and international organizations in response to the global economic and financial crisis. The seminars focus on the methodologies for compiling and releasing of high quality rapid (or ‘flash’) estimates, their international comparability, the communication strategy for such estimates and their analytical indicators on the performance of the real sector of the economy and the financial markets for effective macroeconomic monitoring. The third international seminar is expected to formulate recommendations for the monitoring of business cycles and the early identification of turning points, as well as strategies for future work on improving statistical tools for this purpose. The outcome will be formulated as recommendations that will be presented to the United Nations Statistical Commission at its next session in March 2011. This seminar is organised by UNSD/DESA, in collaboration with United Nation Economic Commission for Latin America and the Caribbean (ECLAC). The seminar is hosted by the National Statistics and Informatics Institute of Peru. The purpose of the seminar is to assist the Working Group on National Accounts of the Statistical Conference of the Americas in implementing the Regional implementation programme of the 2008 SNA and supporting economic statistics with the objective of developing comparable economic statistics for countries in the Latin America and the Caribbean region as a whole to monitor the integration of their economies. This regional programme forms part of the global implementation programme for the 2008 SNA and supporting statistics. This seminar is organised by UNSD/DESA, in collaboration with the CARICOM Secretariat. The purpose of the seminar is to initiate the formulation of an implementation programme for the 2008 SNA and supporting economic statistics with the objective of developing comparable economic statistics for member states in the Caribbean region as a whole to monitor the integration of their economies. It is expected that this initiative would lead to a multi-year programme to move the countries over to the 2008 SNA and to establish a minimum common data set of annual and high frequency statistics. This seminar is organised by UNSD/DESA, in collaboration with UNESCWA and the GCC Secretariat, to develop a programme for the implementation of the System of National Accounts 2008 (2008 SNA) for countries in the ESCWA region. The seminar is hosted by the Sultanate of Oman. The purpose of the seminar is to initiate the formulation of an implementation programme for the 2008 SNA and supporting economic statistics with the objective of developing comparable economic statistics for member states in the ESCWA region as a whole to monitor the integration of their economies. It is expected that this initiative would lead to a multi-year programme to move the countries over to the 2008 SNA and to establish a minimum common data set of annual and high frequency statistics. The United Nations Statistics Division (UNSD), in collaboration with the National Bureau of Statistics of China, will organize an International Workshop on Regional Products and Income Accounts from 15 to 17 March 2010 in Beijing, China. The workshop aims to review the current practices of various countries in regional accounts and propose best practice approaches in compilation of Gross Regional Product and Income. This workshop is part of a series of events organized under the project on strengthening statistical capacity development in China and other developing countries in Asia funded by the Chinese Government. It will give an overview of the conceptual framework and different approaches for allocation of national economic activities to regions and address some measurement issues on the inconsistency between the national aggregates and the sum of regional data. The workshop will also offer the opportunity to exchange experiences and discuss the optimal approach in the calculation of Gross Regional Product and Income. A National Accounts Workshop is being organised by Afristat, in Bamako, Mali, from 21-25 September 2009. The purpose of the workshop is to have an interactive discussion on National Accounts issues brought about by the update of the System of National Accounts and the main challenges faced by African countries on national accounts issues. The workshop is part of efforts to increase statistical capacity building in the region and to support countries in formulating an implementation programme of the 2008 SNA according to the implementation strategy approved by the Statistical Commission. The United Nations Statistics Division (UNSD)/Department of Economic and Social Affairs, in collaboration with the Central Statistical Organisation, India is organizing a workshop on National Accounts for South Asian countries. The workshop will take place on 6-9 July 2009 in New Delhi, India, hosted by the Central Statistical Organisation, Ministry of Statistics and Programme Implementation of India. The workshop is part of UNSD’s efforts to strengthen statistical capacity building in the region and as such relates to the framework of the project “Strengthening statistical capacity building in support of progress towards the Internationally Agreed Development Goals in countries of South Asia.” The purpose of the workshop is to have an interactive discussion on the methodology for compiling Quarterly National Accounts following production approach and related issues such as, the timeliness and reliability of source data, benchmarking and rebasing, volume measures and back casting in view of the update of the SNA and the revision of ISIC. It is foreseen that workshop discussions will also contribute to a regional strategy to harmonize data collection, compilation and revision policies, quality standards and the extension of the scope and detail of the quarterly national accounts in the region. The United Nations Statistics Division/Department of Economic and Social Affairs (UNSD), in collaboration with the Central Bureau of Statistics of Namibia, the Southern African Development Community (SADC) and the United Nations Economic Commission for Africa (ECA) are organizing a workshop on National Accounts for SADC countries. The workshop is part of UNSD’s efforts to increase statistical capacity building in the region and as such relates to the framework of the project “Strengthening statistical capacity building in support of progress towards the Internationally Agreed Development Goals in the Southern African Development Community region”. The purpose of the workshop is to discuss National Accounts issues brought about by the update of the System of National Accounts and main challenges faced by SADC countries on national accounts issues such as, the timeliness and reliability of source data, benchmarking and rebasing, volume measures and back casting in view of the update of the SNA and ISIC. It is foreseen that these discussions would contribute to a regional strategy to harmonize data collection, compilation and revision policies, and quality standards to extend the scope and detail of the national accounts in the region. The United Nations Statistics Division (UNSD) in collaboration with the National Bureau of Statistics of China is organizing an international workshop on measuring production in national accounting from appropriate basic economic data sources. This workshop is the first in a series of events to be organized under the project on strengthening statistical capacity development in China and other developing countries in Asia funded by the Chinese Government. With the objective to enhance the capacity of National Statistical Offices of Asian countries to produce reliable and high quality national accounts estimates, the workshop will give an overview on the production approach in the System of National Accounts and address the data and measurement issues of the agricultural, manufacturing and the services sectors. The informal sector will also be discussed. An Expert Group Meeting (EGM) on national accounts is being jointly organised by United Nations Economic and Social Commission for Western Asia (ESCWA) and the United Nations Statistics Division from 12 to 14 May 2009 in Cairo, Egypt. The EGM will discuss the assessment of the country practices of the ESCWA region for compiling internationally comparable national accounts. The EGM will also discuss national accounts issues in implementing the revised 2008 System of National Accounts and new classifications of economic activities and products and the main challenges faced by ESCWA countries on issues such as rebasing and linking of national accounts, backcasting, benchmarking and volume measures. Measures for the exhaustive coverage of economic activities in the national accounts including the measurement of the informal sector activities will also be deliberated in the EGM. It is expected that the discussions would contribute to the formulation of a regional plan for implementation of the revised macroeconomic accounting standards of the 2008 SNA for the countries in the region. The United Nations Statistics Division and Eurostat will jointly organize a high level Conference on International Outreach and Coordination in National Accounts for Sustainable Growth and Development, on6 - 8 May 2008 in Luxembourg, Luxembourg. This Conference will be an opportunity to bring together producers and users of statistics as well as technical and financial partners from all regions of the world. The main objective is to facilitate the outreach of the System of National Accounts (SNA) within a context that is mindful of the development cooperation issues necessary to support poverty reduction and sustainable growth and development strategies. More specific objectives include:(1) facilitating the outreach of the SNA in developing countries;(2) promoting international coordination in an area where different partners are particularly active at bilateral and multilateral level;(3) establishing directions for development co-operation in the field of national accounts in order to improve coordination and efficiency of aid and sustainability of project results;(4) orienting national statistical systems at country level to improve the quality, production and dissemination of data in a sustainable way. It is expected that, at its conclusion, the conference will adopt an action plan for implementation in addition to operational recommendations for the attention of the developing countries and their technical and financial partners. The purpose of the meeting is to conclude discussions of the advisory expert group on National Accounts (AEG) in the framework of the updating of the 1993 System of National Accounts (1993 SNA) and make recommendations on issues including Employer pension schemes, Non-performing loans, Financial services, Leases and licenses, Classification and terminology of non-financial assets, Government-owned assets, Public/private/government sector delineation, etc.